I will eat it on everything for a week to find out which things I like it best on. It’s no different with the Thai Peanut Sauce. 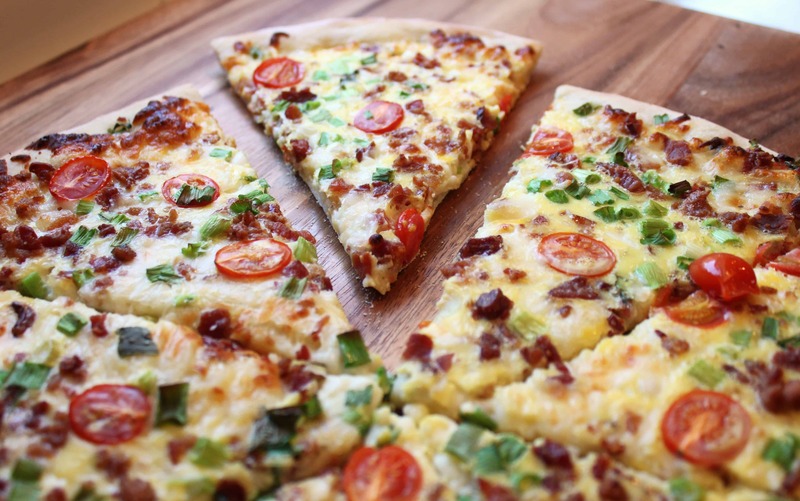 Believe me, you will want to eat it all week too! I’ve made a few peanut sauces before, but none that I wanted to eat all week. This one was a total game changer for me! 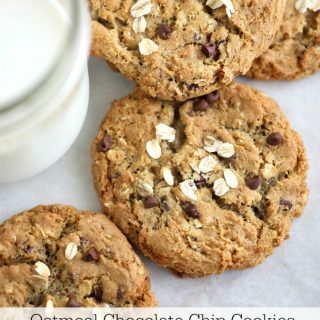 And everyone else who tried it, I shared knowing I would be making another batch the next day. 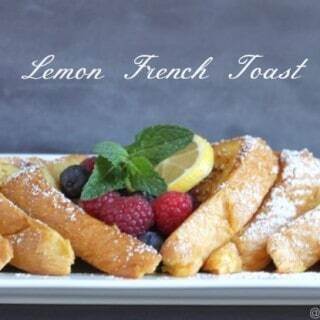 Yes, it’s that yummy and I’m sharing TWO easy recipes to use the sauce with. 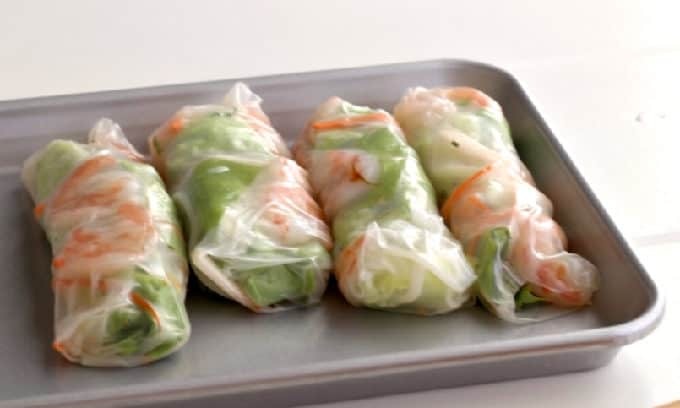 I made some shrimp spring rolls and oh how trays of them DISAPPEARED! I am new to working with rice paper, but getting the hang of it. I tried dipping them in hot water as suggested by some but found cold water was much easier to work with and they were less sticky. I bought the thick noodles that are typically found in spring rolls and they only take 2 minutes to soak in hot water, love that! 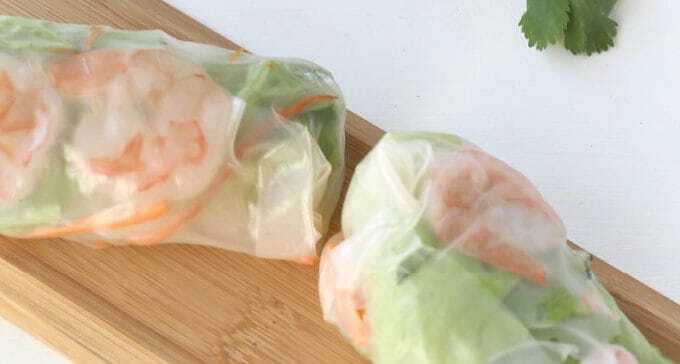 I added lettuce, shrimp, mint, basil, carrot, jicama, rice sticks (rice vermicelli). Now onto the sauce, it’s creamy and delicious and I love that Thai food often uses coconut milk, to give this sauce a smooth and creamy texture I used coconut milk to make it. It is by far the best peanut sauce I’ve had. I store the sauce in a glass jar in the fridge to have at the ready when I find something else to put it on. 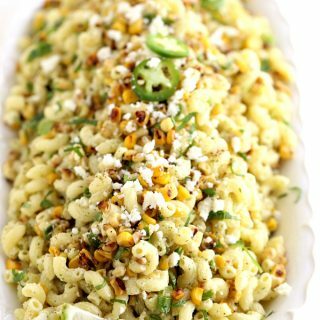 Now, this has become my go-to quick and delicious easy meal. I stir fry a pound of ground chicken add a couple tablespoons of the peanut sauce to it. 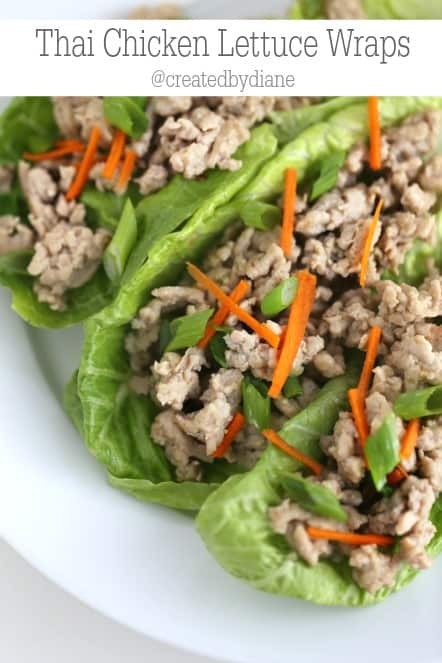 Place the mixture on some lettuce and top it with Julienned carrots and diced green onions. It’s great to have a meal ready in minutes that is satisfying and this is just THAT! 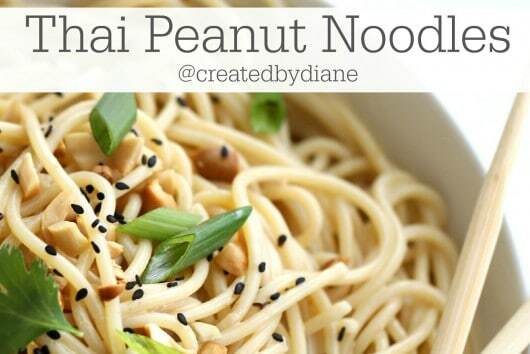 Click here for my THAI PEANUT NOODLE POST, it’s a go-to dish around here! 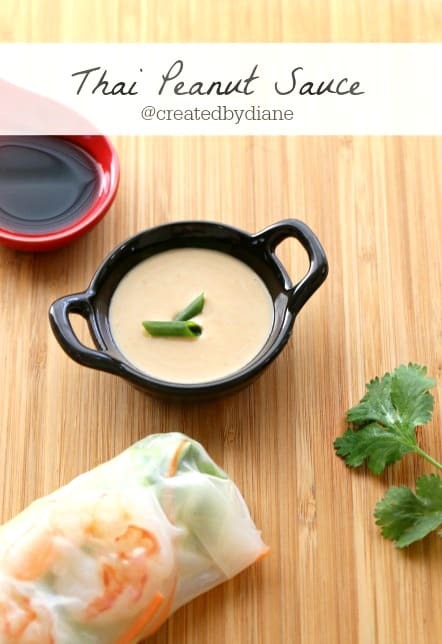 This Thai Peanut Sauce is great to marinade chicken and for dipping chicken into. Perfectly delicious paired with shrimp and salmon, great over a salad and get crazy and top your salad with salmon and peanut sauce! Great on a chicken or turkey burger and it is a really great sauce option for chicken or turkey meatballs too. I also like it drizzled over a bowl of rice. 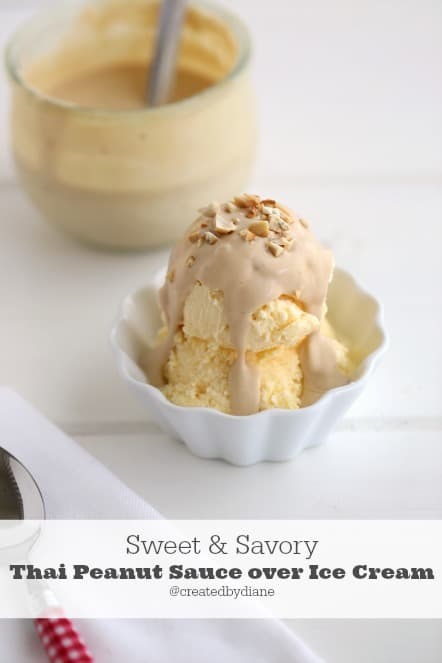 If you like sweet and savory, you may also enjoy it over vanilla ice cream like I do! It’s different, but I like it. 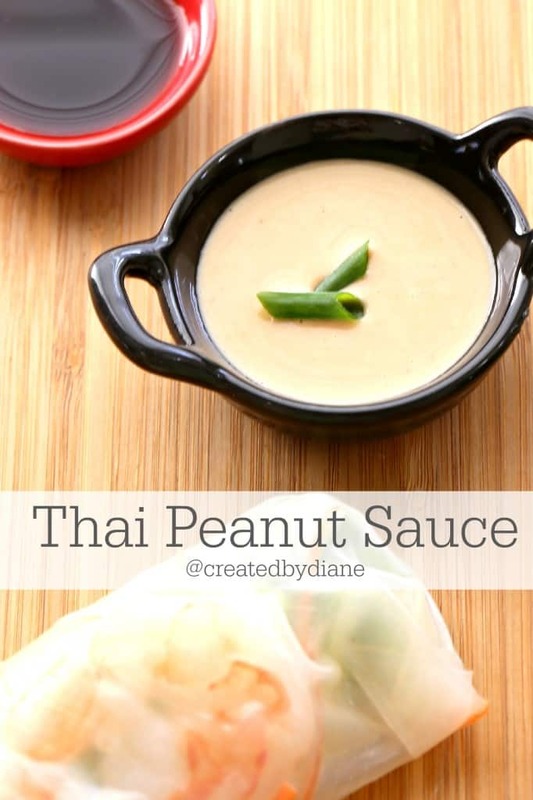 What will you be putting this Thai Peanut Sauce on? Blend until completely smooth and well mixed. 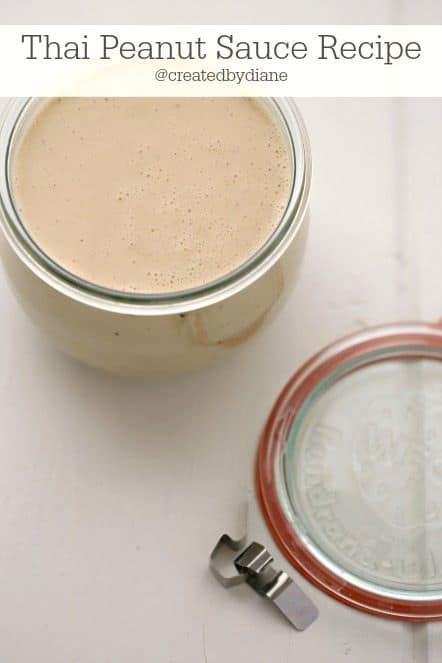 If you used full fat coconut milk, it will become similar to the consistency of peanut butter once you refrigerate it and you can even spread it on sandwiches. 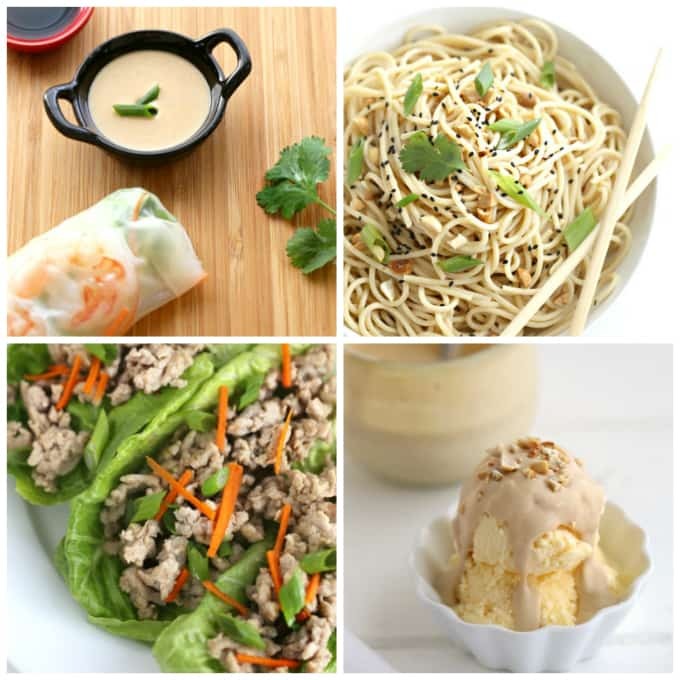 If you used light coconut milk, it’s thinner more of a sauce consistency when refrigerated. When it’s first made it’s on the thin side, great to add to pasta and such. To quick-chill the sauce, I place it in a bowl over a slightly larger bowl with lots of ice and some water and let it get cold, that thickens it up if you’re in a hurry.